I want to thank sponsor AND author Robin C. Farrell for commissioning another episode of Resistance Rising! 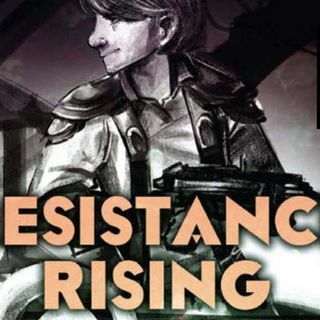 For those who may have forgotten, Robin did the first episode of Resistance Rising with me at the Wannabe level a couple months back, and it was a really fun experience to talk about a book with the actual author! There were definitely some hiccups while I talked about the next couple of chapters because it had been so long since covering the first ones, but I did some rereading to ... See More refresh myself before delving further into the story so I think it went pretty well overall. We get to meet a new class of people, and see that there's something weird going on with our Elvish friend with the glowing eye. I maintain that he simply has to be Mr. X, but I am really intrigued by what seems to have happened to him. Thank you so much for listening, and hopefully I will see you soon with a new episode!